If Bose built TVs, you'd expect them to have exceptional bass and superb midrange sounds in keeping with its little Wave radios, right? Well Bose has done just that with the $5349 VideoWave entertainment system, which is a complete home-theater packed into a 46-inch LCD TV. Using a proprietary internal design which includes 16 speakers and wide and narrow plastic audio-channeling conduits, the TV delivers impressive audio that's projected in such a way that it sounds as if it's emanating not from the TV, but from a wall of sound coming from multiple directions. During a theatrical press event in New York, members of the media got a chance to listen to the system in a room that seemed to have shrouded speakers mounted on the front and side walls. During a surround-sound demonstration which included audio of an approaching thunderstorm, the "speakers" were covered with black cloths, leading attendees to assume that Bose was about to roll out a new series of tiny home theater speakers. Then, in a dramatic moment David Copperfield would have been proud of, the cloths were removed-revealing absolutely nothing. All of the sound that seemed to be firing from behind the cloths had actually come straight from the sole TV. Santiago Carvajal, business director for Bose Video Products, noted that only a third of HDTV owners bother to get a home theater system because of the complexity of connecting all the cables and the multiple remote controls they end up with. The VideoWave system is controlled by a single remote and comes with a separate control console where all external devices are connected. 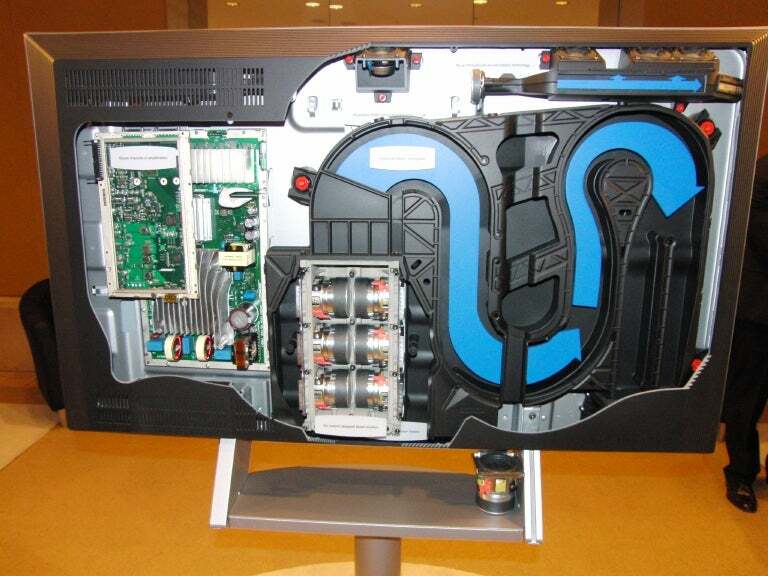 The console itself links to the TV with a single cable. The result is that only two cables emanate from the TV-the power cord and the console cord. Also included is an iPod dock. "Now there's no reason to run a single speaker wire," Carvajal said. The TV itself is deceptive since there are no front-facing speaker grilles. Inside, however, are 16 speakers, including seven midrange drivers across the top: Three on each side and one in the center. Two side-facing tweeters push the audio sideways while six woofers stacked two across in a magnesium enclosure drive bass audio through the Advance Bose waveguide, a wide, curvy plastic audio conduit which enhances the bass before shooting it out of the bottom of the TV set. 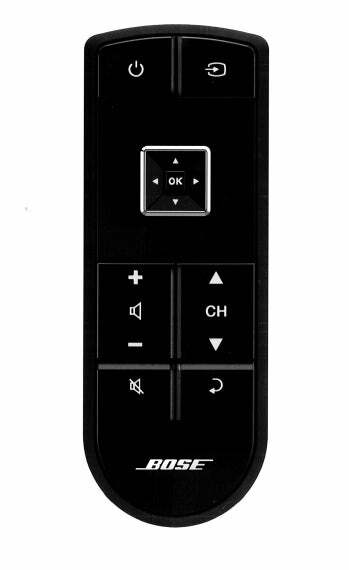 The TV relies on a click pad remote control, which has few keys but controls all of the LCD TV's components and offers advanced sound tweaking. Touching the area around the central rocker button activates a menu which takes over the four sides of the TV screen as the TV image shrinks accordingly. The on-screen options change depending on what item is being accessed-be it the TV or an iPod or and external device like a Blu-ray player. Only the menu choices relevant to the device being controlled are shown on the screen. The unit uses RF connectivity instead of infrared light, which means that it doesn't have to be pointed at the TV set. technician when the TV is delivered but can be repeated by the user if the TV is moved to a different room. Despite the high level of internal engineering, the 1080p HDTV supports a refresh rate of 120Hz, not 240Hz, which means that it's not capable of showing 3D content. At 97 pounds, the unit is not exactly light, but is still light enough to be wall mounted. While the high-end sound technology comes at a price, it comes with free delivery and "white glove" delivery service, which includes unboxing and setting up the TV, configuring the audio for the room that it's in and, if you like, taking away and disposing of your old TV. 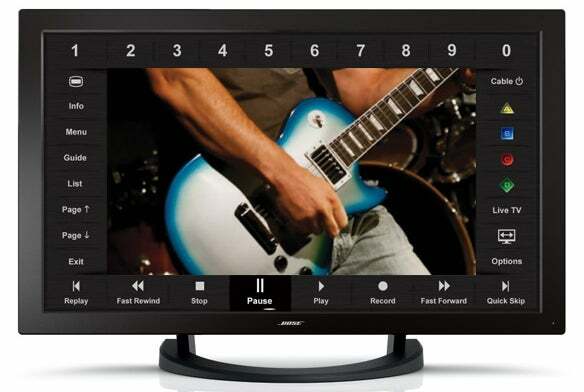 The Bose VideoWave entertainment will debut Oct. 14 at Bose stores. This story, "A Bose TV? Sounds Good - Literally " was originally published by PCWorld.